What was mistaken (by me) as a 1944 Volkswagen Wartime Staff Car Variation Is Really A Mercedez Benz 170 Da OTP(Open Touring Police) as per it's owner, Richard. Of course, the leader was Adolph Hitler and a few months later, he ordered 3 prototypes to be built and also more or less ordered the nation’s manufacturers to supply the parts. Porsche was in a fix. The engineering was not the problem but instead it was the economics. The man who perfected the mass production of automobiles, Henry Ford, turned out cars at a low cost but even his cars ran about $800. It was a daunting task to undercut Henry Ford by over 2/3 and still produce a quality car. Given that the request came from the German Chancellor who was gathering unrivaled political power through both legal and violent means, the pressure must have been enormous. But, old Ferdinand had a secret. See, Hitler demanded delivery of the prototypes in just 10 months but Porsche was ahead of the game. The year before he had designed a rear engine, air-cooled small car on his own. But, there was the issue of the cost. So, it was back to the drawing board. But Porsche had other interests as he split time with his efforts to help German racing teams and he was more interested in that than in living up to Hitler’s public announcements that soon there would be an affordable car for all Germans. And the German Automobile Manufacturers Society wasn’t exactly racing to provide materials because they knew all they were doing was helping create a new competitor in the market. Porsche though was still pushed so he went to America to take notes on how the Americans mass-produced cars. He determined that there was no way that the German financial system could support the development of such an endeavor and that the government would have to do it. As it turns out, before production of the people’s car could get off the ground, Hitler started invading countries all over Europe. The factory never delivered what has become known as the Beetle. 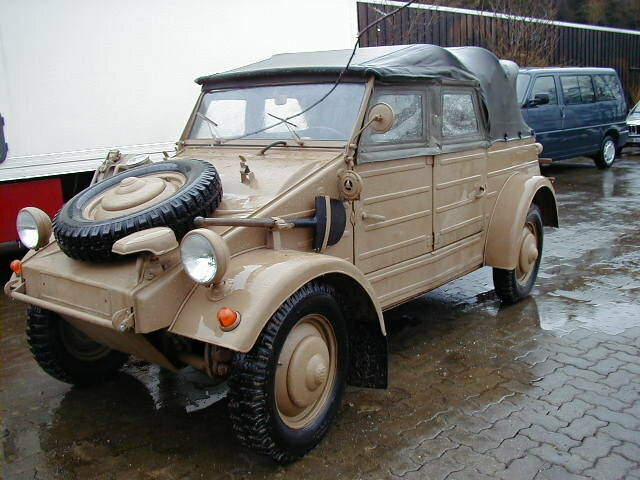 Instead, the factory was retooled and an stronger, more powerful rear engine open vehicle was created called the Kubelwagen. It had similar capabilities of the American Jeep. 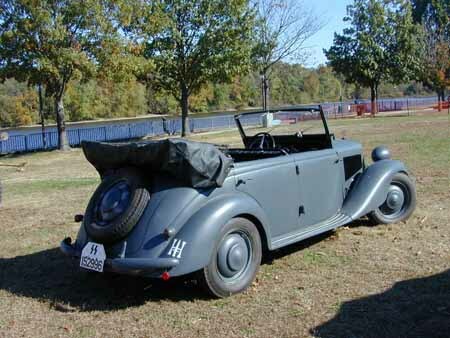 It also served as the German Staff Car during the war. 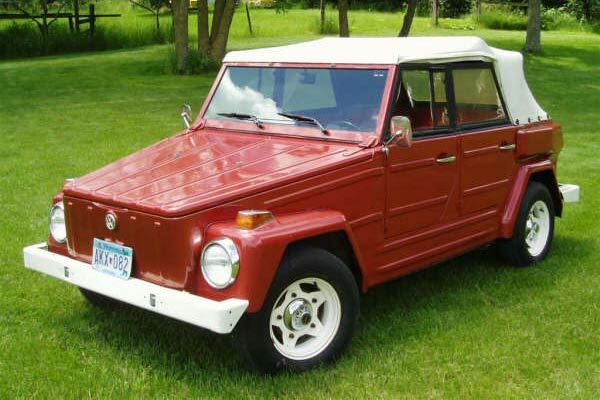 Later, the Kubelwagen variation created by Porsche came back to life as the VW Thing. But, the Thing came about after the Beetle and the Beetle, aka the people’s car, did not come to life until after the end of the Second World War. The factory fell into the British zone of divided post-war Germany. The British needed to keep workers busy so, after finding the blueprint of Porsche’s design, the put the factory personnel to work. 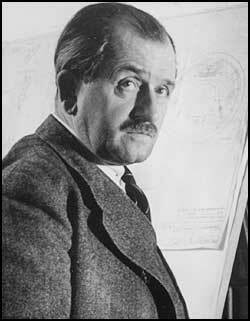 By 1948, the British put BMW designer Dr. Ing. Heinz Nordhoff in charge of Volkswagen. 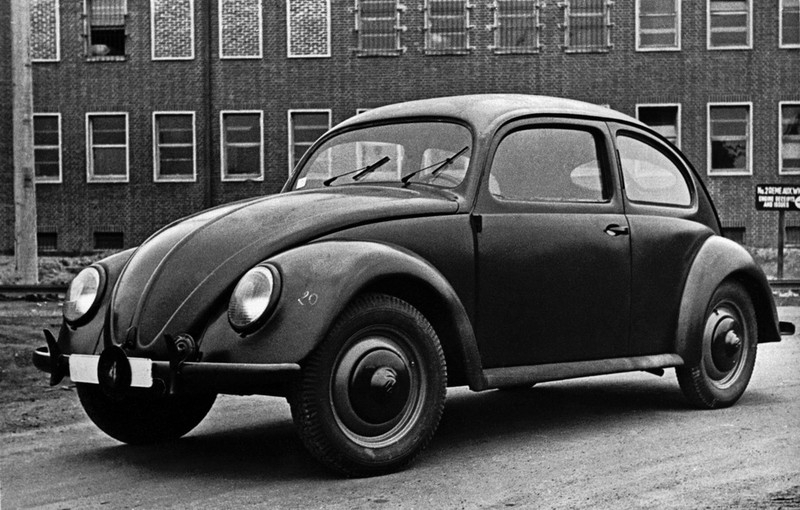 Nordoff remained at the helm when the plant was turned over to the new West German government and by 1955, Beetle number 1,000,000 rolled off the assembly line as the first European car to ever achieve such a production level. But, they weren’t done. Americans stationed overseas had first brought the Beetle to the states as a second car. But, quickly, the car that was dwarfed by the mammoth cars put out by Detroit fulfilled Hitler’s promise to the American people. While it was slow and quite small, the Volkswagen was very durable, required little maintainance, was very miserly with gas compared to American gas guzzlers and was generally affordable for people who otherwise could not afford cars. Henry Ford with his Model T had acheived that objective before the Beetle, before Hitler and before anyone else. But, by the 1950’s Detroit kinda moved away from that business model and the Beetle fit that nitch market quite nicely. And it continued to do so. On this date in 1972, Volkswagen put out Beetle number 15,007,034 rolled off the assembly line to surpass Ford’s Model T for the most produced car in all of history. While Volkswagen became the name of the company instead of the car, and the original Beetle model was eventually discontinued in the United State and replaced by a new, more expensive Beetle with more of the luxuries that Americans demand, the old model Beetle remains in production in Mexico. Seems that every time I’ve been in Mexico, the cab I rode in was either a Beetle or a Thing…both relics of World War II. Most people though think that Hitler came up with the Beetle and he didn’t; it was Ferdinand Porsche. And what became known as the Beetle wasn’t even offered to the public until after the war. I think the story of the People’s Car is a good metaphor for Hitler in some regards because he falsely took credit for someone else’s genius and he then made a promise to the people that he never kept. Weather Bottom Line: I don’t have much to add today except that I had about 4.5 inches of snow at my house and the National Weather Service had an official total for the event through early Tuesday of just around 4 inches with the weather service office closer to 5 inches or so. Yet, the newspaper trumpted in it’s headlines Tuesday morning “6 Inches and Counting.” It reminds of of the flood in parts of the city in early August when the paper quoted all of these rain totals that were based on rumor and not fact as no measuring device could come close to verifying what city officials and the paper claimed. But, to be sure, some folks got a little more than 5-6 inches of snow and some got less. From driving around it seems like Jefferson County got 4-5 inches in general with the 6-8 inch totals falling north of the river or northeast of Louisville. The NWS made a very general map seen above. A few flurries on Wednesday and it stays cold. The next system seems to be falling behind with the models and there is a better than fair chance that we warm up a little and get rain for the second half of the weekend before a little snow on the tail end for Monday. But, there is no consensus with this solution except that the GFS is starting to show some consistency. We’ll have to see how it shakes out over the next few days but I strongly suspect its more of a rain event than snow. 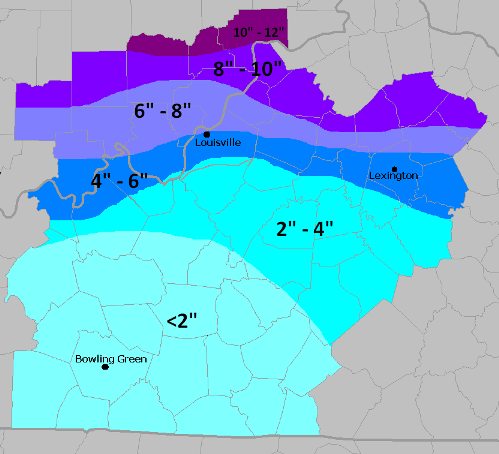 This entry was posted on Wednesday, February 17th, 2010 at 5:10 am and is filed under Bob Symon, Culture, History, Louisville Forecast, Louisville Weather, Opinion, Science, This Date In History and Weather. Tagged: 1944 German Staff Car, 1944 Kubelwagen, 1946 VW Beetle, 1974 VW Thing, 1975 VW Beetle, Adolph Hitler, automobile history, automobiles, business, business history, car history, Ferdinand Porsche, Ford Model T, German Staff Car, Henry Ford, Kubelwagen, Louisville Snow 02 FEB 2010, People's Car, Volkswagen, Volkswagen history, VW Beetle, VW Thing, World War II. You can feed this entry. You can leave a response, or trackback from your own site. The Beetle was a good car but it sure had a lousy heater! I used to ride to school with a friend down the street that had a Beetle and we froze all the way to school. Still, you couldn’t beat it for durability and fuel economy (for the day). I had heard that the Volkswagen was Hitler’s invention but you set me straight. I guess you could say that he offered Mr. Porsche the “inspiration” to do it! Honestly, I had heard the same thing. But, if you think about it, he was a corporal in the Army and a failed artist. He had zero engineering experience and not much practical business sense, as evidenced by his pricing demands. He did have an idea, which was a pretty good one. But, the fact that Porsche had a similar idea and had actually put it on paper, suggests that others also probably had the same idea. Sometimes its not the idea, but the ability to make that idea a reality. What I did not know was the the Volkswagen didn’t actually get to the people until the war was over. The first new car my Dad ever bought (and the first car I ever rode in) was a black 1962 Beetle. He splurged and ordered the only two options available, white sidewall tires and an AM radio, bringing his invoice to $1,600 – a very affordable price for the time. In 1966, my Dad sold his Beetle to his father-in-law to purchase a 1963 Ford Country sedan to accommodate his wife and two kids. Grandpa drove the Beetle for nine more years and then sold it back to my Dad when he retired. Dad drove it another two more years before it finally gave up. We estimate it had acquired some 165,000 miles during its service life (the speedometer cables were prone to breakage, and Dad’s was no exception), with nothing more than routine maintenance required. It was a remarkable achievement then and a very respectable achievement now. The Beetle truly was an exceptional car. My sincere thanks to Dr. Ferry Porsche for his legacy and to you for your account of his work. 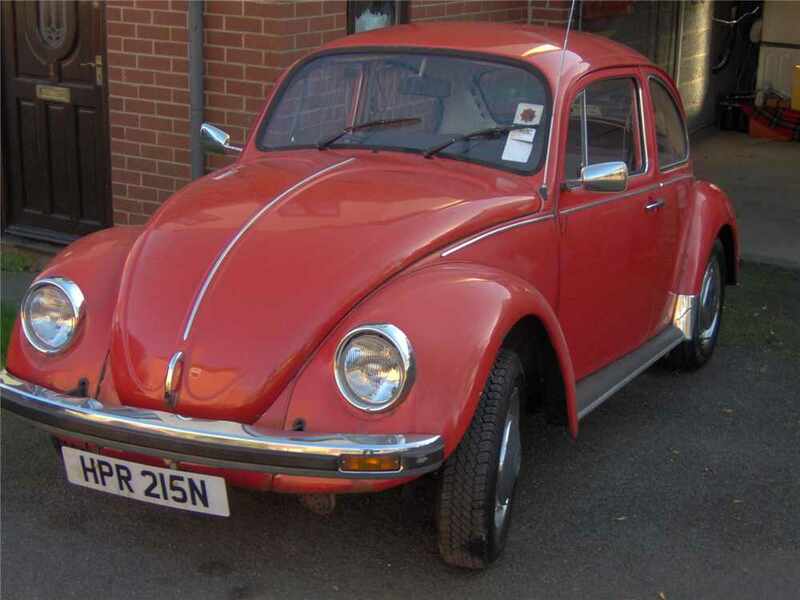 As for the VW Thing (officially, Type 181 in VW circles), that was the car my Dad chose to be his Beetle replacement. I can only guess that this was his response to any “midlife crisis” he might have been experiencing. He purchased a 1973 model in 1977, white with black top. It survived five different drivers in the family (myself included) until 1986, when two of the cylinders went dead (you definitely needed all four to make any kind of headway.) I attribute this malady to a curse my younger brother (the fifth driver) put on the car. Shortly after receiving his driver’s license, he affixed a Motley Crue sticker on the rear bumper. From then on, I knew the Thing’s days would be numbered! Several years ago I saw them all over the place in Mexico. Those things were nuts…taking off the doors and everything else. Really funny cars. One of the most classic and loved cars in all of American history is no doubt the Ford Mustang. Its classic muscle car power and sleek lines have captured the hearts of car lovers for decades. Since its initial release in 1964, Ford knew they had a legend on their hands. Through the years, the Mustang has undergone many design changes but it has held its place on the list of classic American cars. Too bad the topic wasn’t about Mustangs. I own one though so I appreciate it…just not real applicable to the subject. thanx richard. Looks like a Beetle to me but it also wasn’t what I recall being a typical “staff car” either. The title of the car I actually got from the source…at least I thought..but since you say its your car, I’ll take your word for it. Feel free to chime in any time. The VolksWagen Beatle is the best car ever made. its realiable, strong, and fuel economical.